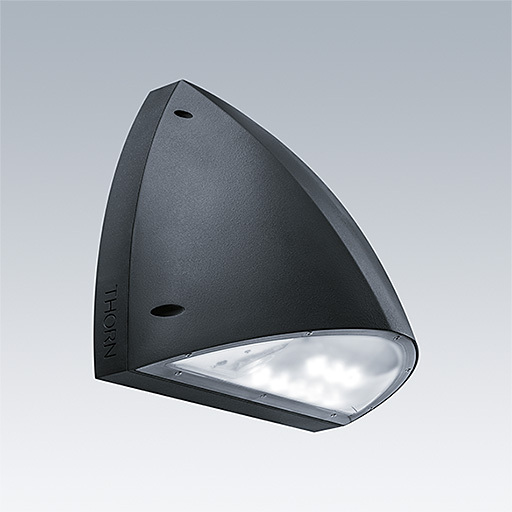 A robust wall mounted luminaire. Electronic, fixed output control gear. Back plate: die-cast aluminium, painted anthracite. Body: anthracite polycarbonate. Ø20mm cable entry via rear or side conduit entries, BESA compatible. IP65, IK10. Complete with 4000K LED.